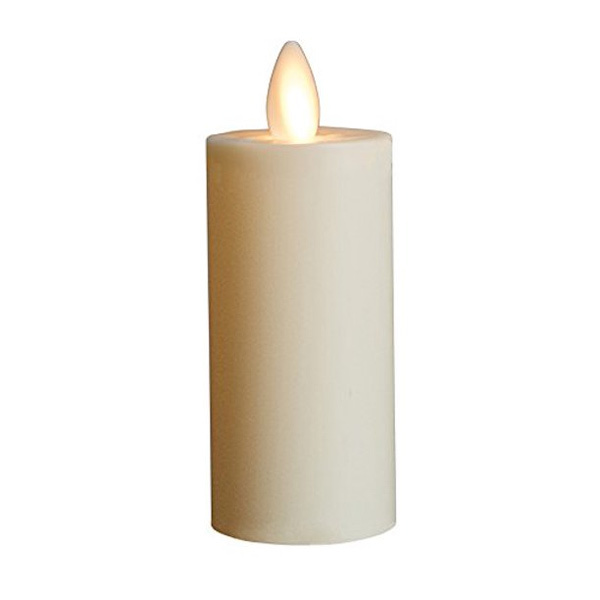 Unbelievably realistic battery operated candles with a patented moving, flickering wick. All the benefits of a real candle without any of the risk. Real wax candles are for indoor use only. 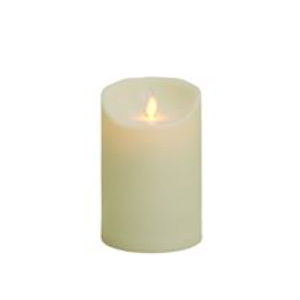 Plastic outdoor candles may be used indoors and outdoors. Batteries not included. 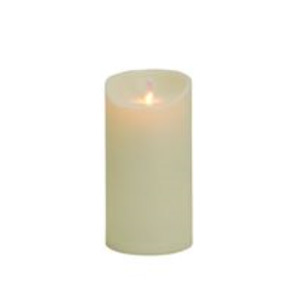 The Mystique flameless votive features a built-in timer for 6 hours on and 18 hours off. Measures 3inH by 1.5inD. Ivory color. Unscented. Requires 2 AA batteries, not included. 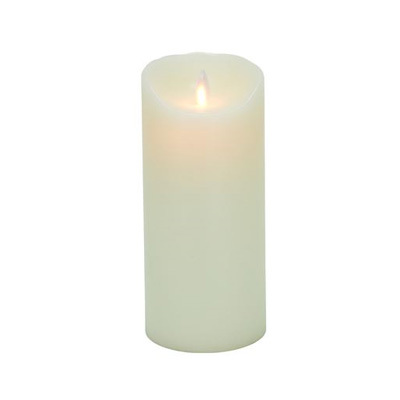 The Mystique flameless taper candle features a built-in timer for 6 hours on and 18 hours off. Measures 8inH by 0.75inD. Ivory color. Unscented. Requires 2 AA batteries, not included. 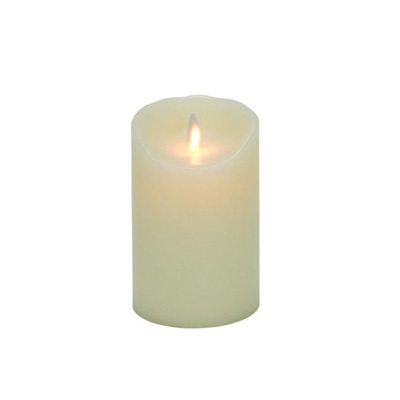 The Mystique flameless tealight features a built-in timer for 5 hours on and 19 hours off. Measures 1.5inH by 1.5inD. Ivory color. Unscented. Each candle requires 1 CR2450 battery, included. 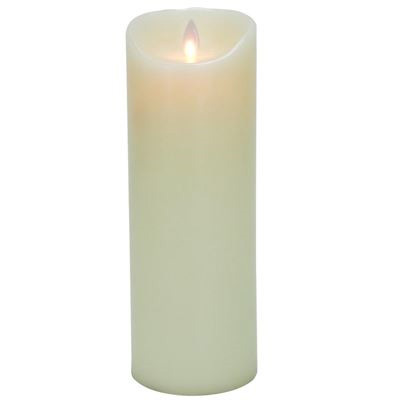 The Mystique flameless taper candle features a built-in timer for 6 hours on and 18 hours off. Measures 10inH by 0.75inD. Ivory color. Unscented. Requires 2 AA batteries, not included. This flameless wax candle with timer function is remarkable. A stunning faux flame dances and flickers like an actual burning candle. 5-hour-on, 19-hour-off timer. Candle measures 3.25in diameter by 5in high. Ivory color. Unscented. Requires 2 AA batteries, not included. This flameless wax candle with timer function is remarkable. A stunning faux flame dances and flickers like an actual burning candle. 5-hour-on, 19-hour-off timer. Candle measures 3.25in diameter by 7in high. Ivory color. Unscented. Requires 2 AA batteries, not included. This flameless wax candle with timer function is remarkable. A stunning faux flame dances and flickers like an actual burning candle. 5-hour-on, 19-hour-off timer. Candle measures 3.25in diameter by 9in high. Ivory color. Unscented. Requires 2 AA batteries, not included. 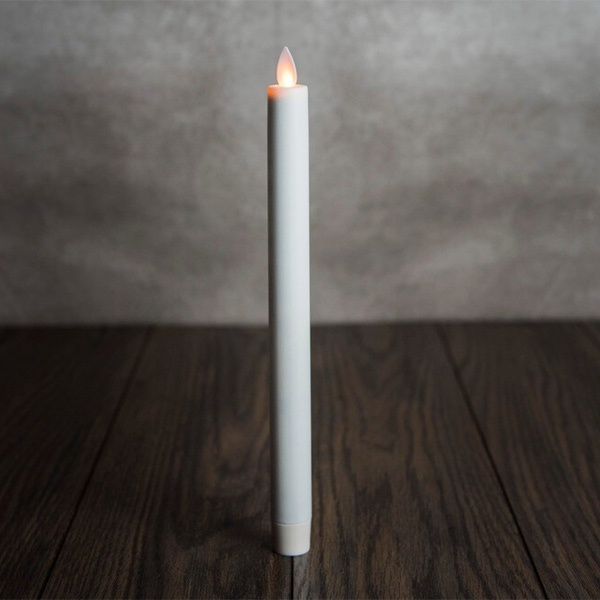 This flameless candle with timer function is truly remarkable. Patented LED technology creates a stunning faux flame that dances and flickers like an actual burning candle. Candle measures 3.5in diameter by 5in high. Ivory color. Unscented. Requires 2 D batteries, not included. Remote Ready. 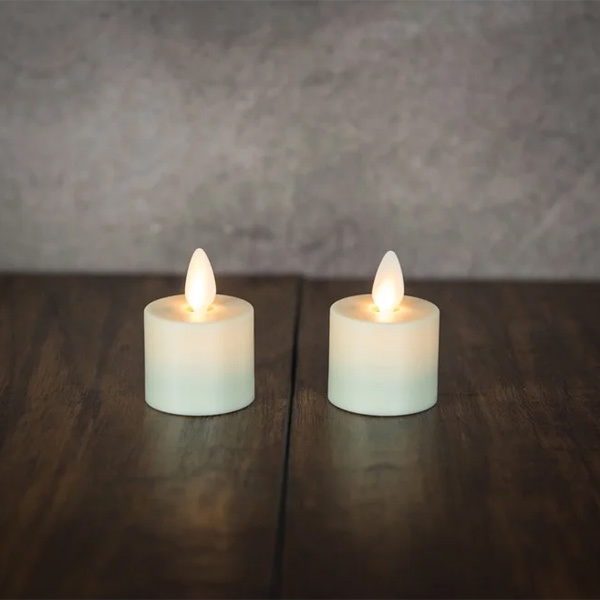 This flameless candle with timer function is truly remarkable. Patented LED technology creates a stunning faux flame that dances and flickers like an actual burning candle. Candle measures 3.5in diameter by 7in high. Ivory color. Unscented. Requires 2 D batteries, not included. Remote Ready.